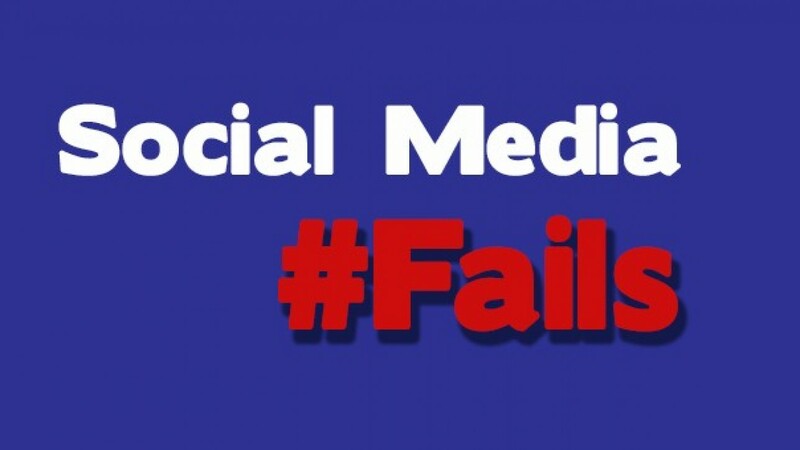 It’s time for another Social Media Fail from one of the big brands that should know better. This time the spotlight is shining on Tyne and Wear Metro – a public transport company that runs a light rail service in the North East of England. It’s basically The Tube for Geordies and Mackems. If you’re from the region, you’ll know they don’t really have a stellar reputation when it comes to their train service. Over priced, mainly late and constantly getting “essential maintenance work” when you need it most. It’s surprising since they’re owned by a German company famous for its punctual trains. Enough of the background and on to the fail. 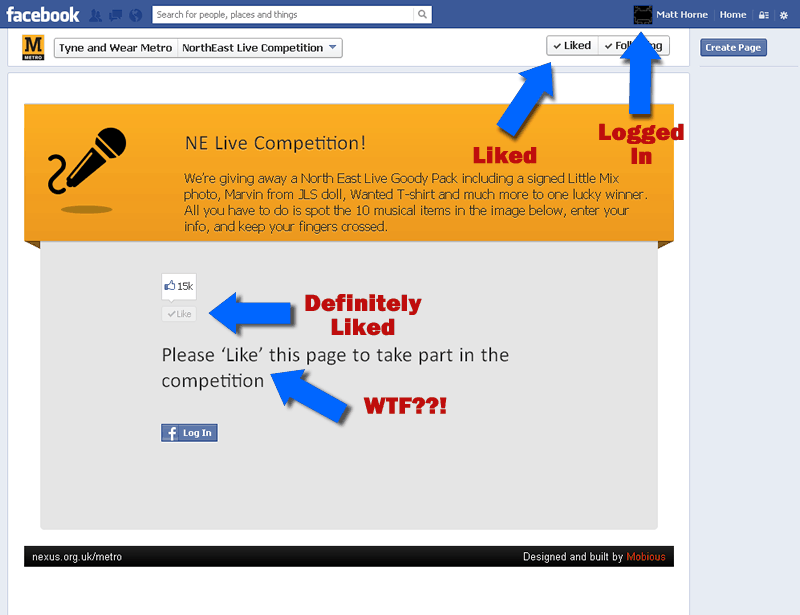 They’re currently running a Facebook competition to win some merch from stellar artists of the manufactured pop world. As good social media citizens they’re running this through a Facebook app to adhere to the rules. They’ve even put in place a sneaky “like gate” to help boost up their fans from all the teeny boppers desperate for some hot JLS merch. Pretty standard so far. Problem is, they’ve not really done much testing. Here’s a screen grab from the app taken just 30 minutes ago. I think the arrows say it all. Damn it Metro, how many ways do I have to like a page before I can get my hands on my Marvin doll? Lesson to learn from this? Always do some user testing of your apps with a none admin account. That way you’re looking at the app as a proper user. Test it logged in, logged out, page liked, page not liked, cover all bases to avoid having a troll like me picking up on it. If you’re struggling with your Facebook competitions and apps, why not get in touch – not that I’m known for bragging, but they work quite well. Just check out the one running for Chase Park that I created. We all make mistakes – and I’m big enough to admit when I’ve made one. And here it is: I totally didn’t notice that their competition app wasn’t even mobile ready either. This is a massive social media fail as more and more people looking at your Facebook page are doing so on a mobile device! For reasons unknown to mere mortals, Facebook doesn’t let page apps load when accessing a page through their mobile apps. That means you need to do a bit of special coding to ensure all those mobile visitors get the same experience. Again, to see how it could have been done, check out the Chase Park Festival competition app I’ve created which identifies if you’re on a mobile phone and serves you clickable content appropriately.